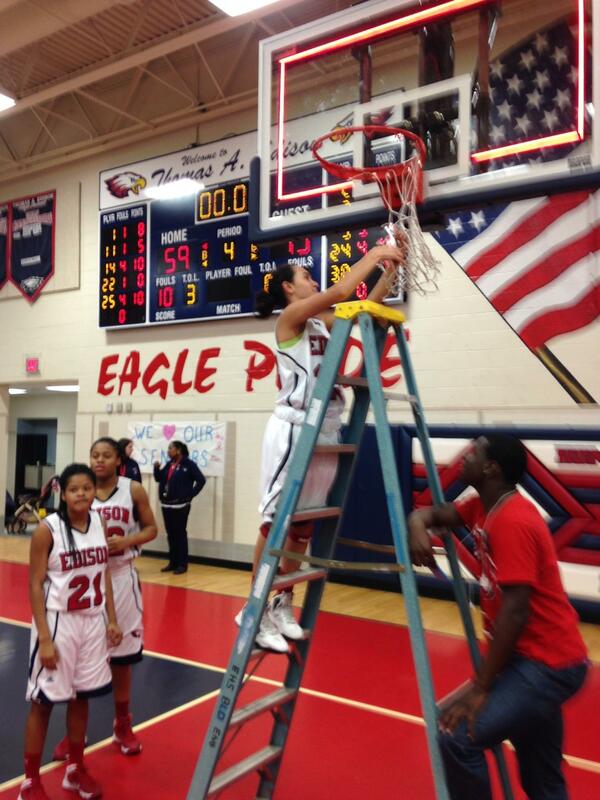 Home » Congrats to the Lady Eagles on winning districts! 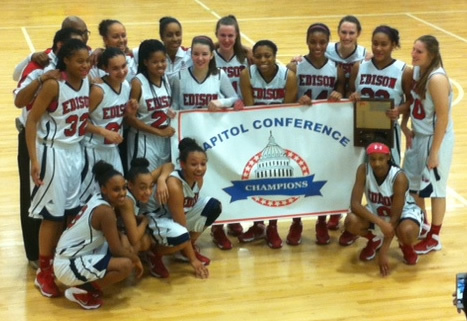 Edison High School’s varsity girls’ basketball team beat Mount Vernon Friday night to become the District (Conference) 13 champions! Regional play starts tomorrow, Feb 25th at 7 PM. The lady Eagles are the #1 seed from their conference and thus have a home game to start. With a record of 22-3, it has been a great year for the team and they hope to once again be Regional Champions! Click here for the Washington Post article with an analysis of the game. Good luck ladies–we wish you the best. We want to send a special shout-out to Bella Malave!